Jess Porter spent her childhood bouncing from therapist to therapist and prescription to prescription. An outcast at school and a misfit at home, the only solace she ever found was in her relationship with her dad, Tom. Now he's dead. Feeling rejected by her adopted mom and her biological twin sister, Jess runs off to South Florida. But she can't outrun her old life. Watching the blood drip down her arm after her latest round of self-inflicted cutting, she decides her only choice is to find and face what frightens her most. Because I Had To takes the reader inside the worlds of adoption, teen therapy, family law, and the search for a biological family. With a cast of finely drawn, complicated characters, it asks us to consider: can the present ever heal the past? I have a child who grew up with special needs, behavioral issues and multiple mental health diagnoses. She spent much of her childhood going from one doctor to the next and constantly being prescribed different medications. I think that, as a result of my experience parenting and doing my best to raise her, BECAUSE I HAD TO flowed out of me quickly and naturally. It really is Jess Porter’s story and although I based that character on my own child, ultimately Jess is a much more “together” kind of individual. Family law specialist David Bulitt has been praised as the lawyer who “epitomizes stability and old fashioned common sense” by Bethesda Magazine and routinely makes every top Washington DC Metro lawyer list. His clients say that he is “the best non-shaving, motorcycle-riding, bourbon-drinking, non-lawyer, lawyer” they know. The grandson of a New Jersey bartender, Bulitt was the first member of his family to get a professional degree. 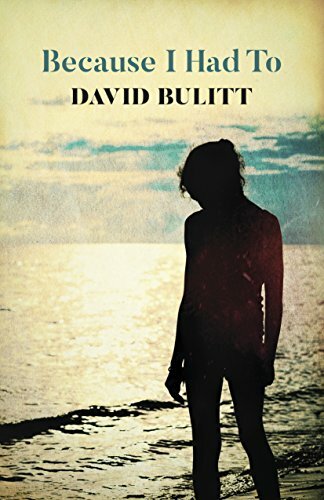 After years of raising kids and focusing on family responsibilities, Bulitt Bulitt now spends much of his spare time discussing world issues with his dogs and working on his novels. His first book, CARD GAME, was published in 2015 to a bevy of five star reviews. His new novel, BECAUSE I HAD TO, is available now on Roundfire Books. Bulitt is the Assistant Managing Director of Joseph, Greenwald and Laake, PA, one of Maryland's largest and most prominent law firms. His practice focuses on all areas of family law, including cases that involve complex financial and property matters and property distribution, divorce, and child custody disputes. He is often appointed by local courts to serve in one of the most difficult and demanding legal roles, as a Best Interests Attorney for children whose parents are embroiled in high conflict custody disputes. He also has extensive expertise working with families that have children with special needs.